As part of its yearlong commitment to addressing the health and longevity of Chicago’s dance industry, See Chicago Dance (SCD), the city’s nonprofit service organization, hosts a Day of Dancer Health on Monday, April 22 at the Menomonee Club Drucker Center, 1535 N. Dayton Street, Chicago. This special event is a highlight of the seventh annual Chicago Dance Month. The impetus for the program is research published in the recent study “Mapping the Dance Landscape in Chicagoland,” which revealed that nearly two thirds of Chicago dancers and choreographers live below the poverty line—earning less than $15,000 annually—and consistently experience work-related injuries. A study by the National Institutes of Health shows that the average dancer has experienced between one and seven injuries. The Day of Dancer Health includes a Health Expo from 11:30 a.m. to 3 p.m., featuring representatives from The Actors Fund, Aligned Modern Health, ASSC – Advanced Spine & Sports Care, Athletico, Illinois Bone & Joint Institute, Impact Physical Therapy, Performance Podiatry Partners, and Universal Wellness Source. Day of Dancer Health sponsors include Dance for Life/Chicago Dancers United and the Menomonee Club for Boys and Girls Drucker Center. Special thanks to Dance/USA’s Task Force on Dancer Health and its chair, Nancy Kadel MD, who is providing on-site leadership for the health screening portion of the day. To register for the workshops, visit seechicagodance.com/dancerhealth2019. Chicago Dance Month showcases the city’s numerous, vibrant, and diverse opportunities to enjoy dance in Chicago. 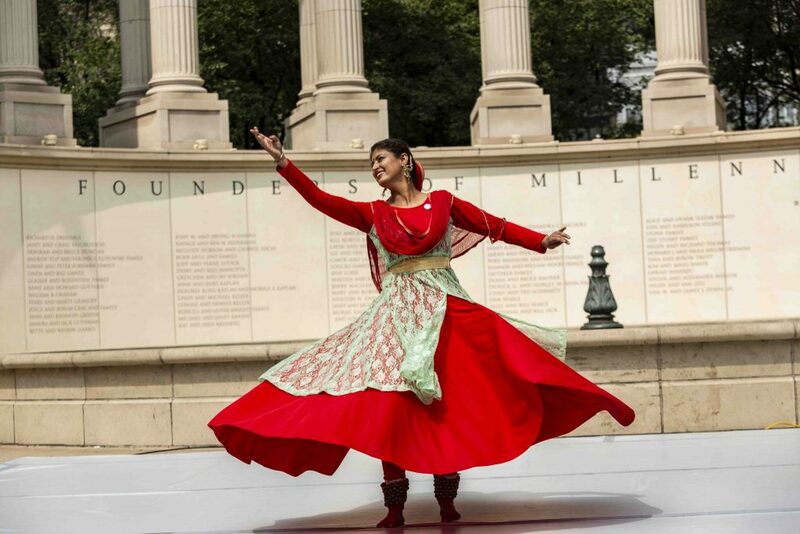 More than 70 performances, classes, and events—many free of charge or deeply discounted—take place during the month, including a free kickoff celebration April 1 at the Chicago Cultural Center and a free Celebration and Dance Scavenger Hunt along the Chicago Riverwalk April 30. More information and a list of events is available at seechicagodance.com/festival/chicago-dance-month-2019. See Chicago Dance is a dance service organization with a mission to advocate for the dance field and strengthen a diverse range of dance organizations and artists through services and programs that build and engage audiences. SCD provides Chicago dance organizations and artists with increased visibility, expansive resources, and forums to showcase and share their talents. Its flagship program, the audience development website SeeChicagoDance.com, drives ticket sales and has grown to become the most comprehensive source of information on dance in Chicago, offering feature stories and reviews, discount ticket offers, and in-depth information on more than 200 dance companies and organizations. SCD also hosts professional development workshops for artists, convenes the dance industry quarterly for networking and shared learning opportunities, and hosts numerous events, artist discussions, and showings to educate and inform the public about Chicago’s vibrant and diverse dance scene. See Chicago Dance was founded in 2006, as the nonprofit Audience Architects, by Carol Fox and Niki Morrison. The mission of the Dance/USA Task Force on Dancer Health is to maintain the health, safety, and well-being of professional dancers. Meeting under the auspices of Dance/USA, the Task Force on Dancer Health is composed of dance medicine practitioners who work directly with professional dancers and dance companies. Among these are physical therapists, physicians, trainers, chiropractors, specialists in movement and injury, nutritional experts and mental health specialists. Visit the Dance/USA website to access free informational papers on health and wellness for dancers and to learn more about the Task Force on Dancer Health.